B2G1 Free Nabisco Crackers Coupon! 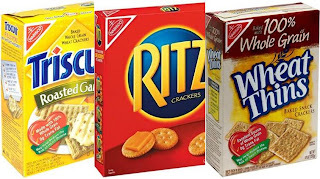 Hurry over to Coupons.com to print this great Buy 2, Get 1 Free Nabisco Crackers coupon! NOTE: Use zip code 33021, under Foods. To change the zip code, click on Local Coupons, enter zip code in the box, then click on Coupons. You should be able to find it then.